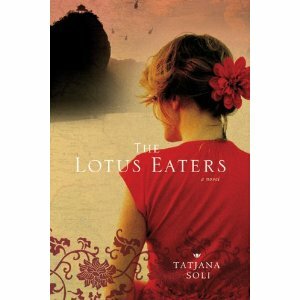 The Lotus Eaters by Tatjana Soli follows three people caught in war-torn Vietnam: a female photojournalist, a charismatic male photographer and a conflicted soldier. It's a breathtaking book, and I am thrilled that Tatjana can be here to answer my questions. What made you obsessed with the idea of a female photojournalist in Vietnam? Why this topic—and why at this time? I was always obsessed with Vietnam. My mother worked for NATO and then at Fort Ord, so the military — soldiers leaving, families breaking up — was real to me even though I was a small child and didn’t understand what it was about. But when I grew up I read all I could in order to understand. Discovering that a few women covered the war as reporters was that magic piece that suddenly turned it into the inspiration for a novel. I get nervous trying to figure out why I write about certain subjects, but I will explore two things. One, that there were parts of the war that I had never seen addressed before. I wanted a book about war that was rooted in the place where it happened. War does not occur on a stage set, or in a neutral vacuum, but on someone’s birthplace, in their home, where their families live. If it’s not on one’s own home turf, it’s easy to take this all for granted. Two, I think the reason that a photographer working in a war zone appealed to me is that I wanted to explore what it means to bear witness. I admire journalists tremendously, I’m in awe of what they do, but I also wanted to explore what that kind of work does to one. There are very few that can keep at it for sustained periods. The burnout is incredibly high. What is the dark side to having this altruistic impulse? And of course as in any other profession, there are those in it for the wrong reasons. I wanted to show that too. Timing was an accident. The novel took ten years, from start to publication. Since 2000, the world, in terms of the US involved in foreign conflicts, has changed tremendously. And yet there are so many parallels between today and the Vietnam war that you could almost view it as a cautionary tale. You spent ten years writing and researching your novel, which is haunting, alive and quite extraordinary. What sustained you during all those years of writing? Was there ever a point where you felt completely lost or like giving up? Well, I can assure you if I had known it would take all these years it would have been bad. Ignorance is bliss. What sustained me is that I loved the story — this was something that I wanted to live out in the process of writing it. As hard as it is to write something and have it not see publication, if it’s deeply important to you, I don’t think it’s time wasted. Like everyone else, I was really moved by Paul Harding’s story, winning the Pulitzer with his novel, Tinkers. It was the same novel, when it languished in a drawer for three years, when it was published by a small house, and now that it’s won the Pulitzer. As a writer, you have to learn to value your work independently from what happens to it out in the world, but at the same time you don’t want to be delusional. It’s a hard balance to maintain. What surprised you about your research, particularly with female war photographers? There were many interesting things about the handful of women photographers who covered Vietnam. The two that I focused on, Dickey Chapelle and Catherine Leroy, went out of their way to appear tough, to measure up to the men. Dickey Chapelle was more a product of post-WWII. She was anti-Communist and pro-military, and she bought into the heroism aspect of the war. She was only there for the beginning of Vietnam, but she thought America was right to be there. 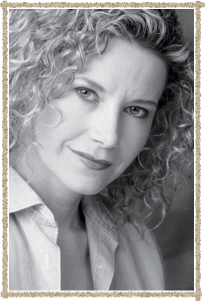 Catherine Leroy went on to cover other wars. After covering Lebanon, she swore off war coverage totally. This is just me guessing, but I think something broke in her. After all the awards she had won, the hopelessness, the endless cycle of war, destroyed her. If there was one person I would have wanted to talk to at length before writing the book, it would have been Catherine. Can you talk about the title, please, and its meaning in the novel? The Lotus Eaters forget all thoughts of home. But “home” means more than a physical place. It is a mental place of comfort and familiarity; it is a belief system. Once you really “see,” in a deep sense, the injustices of the world, can you go back to a place of blindness? Can you go back to living out your private, happy life? The addiction to the adrenaline of war is superficial compared to that. The only thing to counteract all the darkness of violence is connection, love, to another human being. But you are grabbing it like a lifeline, so there is obsession involved. This is the only person in the world who has been through what you have, a bond that can’t be shared with many others. 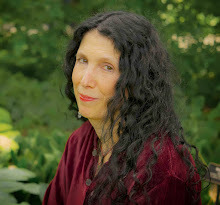 Why did you begin the novel with the Fall of Saigon and then backtrack to tell Helen’s story? How did that particular structure impact your story, do you think? My interest was in Helen at this particular moment in her life, a telling one both personally and historically. That’s the engine that fuels the search into the past. I’ve been writing about the iconic war photographs of that time, but the whole fall of Saigon, the pictures of the crowds beating against the embassy gates, helicopters taking off from the rooftops, it’s one of those moments in history that you never come to the end of. In some ways, it represents the whole disaster of the war. The rest of the novel is an exploration of how this moment came to pass. Character is revealed in the difficult moments in life, not when it’s all smooth sailing. I hope that structuring the book in the way I did throws the interest on how the characters change and develop rather than the false glamour of war and combat. Unlike the outcome of a sports game, you are being told at the very start who lost. With that out of the way, let’s find out who these people are. Because that’s the real explanation of war, not the outcomes of battles. Photojournalists are often witnesses to history, rather than part of it—and sometimes there’s a cost to that. Can you talk about that a bit? That’s a complicated question. There’s a school of thought that it is more professional to stay outside of events, to not take a position, so to speak. To be neutral, as if there were such a thing. I think that people who do this are trying to protect themselves from being affected by events. The more I read about photojournalists, the more I understood that there is a price to bearing witness. You are part of it, whether you want to be or not. There is the bitterness of being helpless to change the outcome. Of seeing things you can’t recover from. I think that’s what happened to Catherine Leroy. There’s another way, one of my favorite examples, of doing what is within your ability. Nick Ut saved the little girl, Kim Phuc, who was burned by napalm. He became her lifelong friend. It’s what was within his ability to do. Sometimes saving one person is enough. I’m intensely curious about what topic is obsessing you now for your next book? After a novel that required so much in terms of research about place, time, photography, the military, I wanted to set myself a different kind of technical challenge with my second novel. It is set on a citrus ranch in present-day California. But my obsession is with the two main characters. Issues of race and power and identity that actually aren’t so different than in my first novel. You asked such good questions! I’d like to add a lifestyle question, in terms of balance in the writing life. I believe that you should be absolutely obsessed by your work, and then at the end of your work time, let it go. Each day I take a long hike with my husband and my dog. I don’t have time for it, there are about a thousand things that need to get done NOW, but we take our hike. Make sure you have a release valve. Excellent interview. Thanks for sharing.